Brush Research Manufacturing (BRM) supplies flexible honing tools and industrial abrasive brushes for maintaining earth moving equipment such as bulldozers, excavators, dump trucks, loaders, and graders. 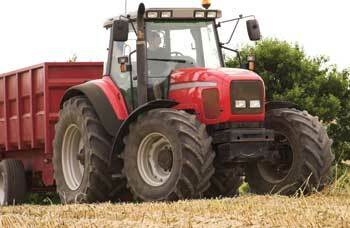 For both new and used machines, engine maintenance is critical. That's why companies like Caterpillar use the Flex-Hone® for deglazing, refinishing, and crosshatching cylinder liner walls during diesel engine overhauls. Companies that service earth-moving machinery prefer the Flex-Hone® to rigid hones that can deposit honing materials in hard-to-reach port areas. If these port areas aren't relieved, piston rings may break and cause severe engine damage. In addition to clearing the ports on two-cycle engine liners, the Flex-Hone® tool is used to improve the surface finish on the walls of hydraulic cylinders. Industrial brushes for tasks ranging from injector cleaning to surface finish improvement round-out BRM's product line.